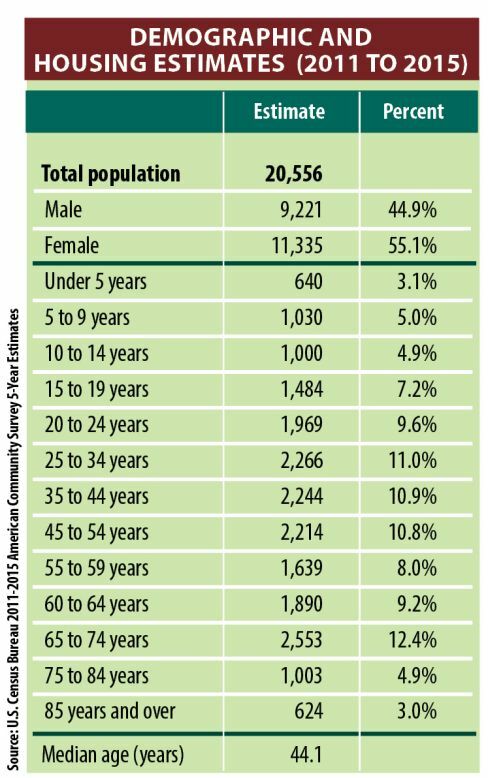 Population: In 2010-2014, Ashland had a total estimated population of 20,412 – 9,098 (44.6 percent) males and 11,314 (55.4 percent) females. The median age was 43.6 years. 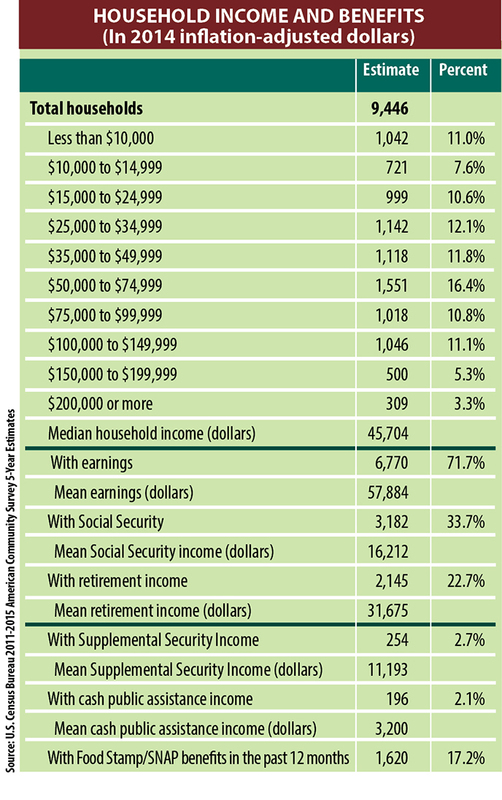 82.8 percent of the population was over 18 years and 19.1 percent was 65 years and older. For people reporting one race alone, 91 percent were White; 2.2 percent were Black or African American; 0.5 percent were American Indian and Alaska Native; 2.2 percent were Asian; less than 0.5 percent were Native Hawaiian and Other Pacific Islander, and 0.9 percent were some other race. 3.1 percent reported two or more races. 4.3 percent of the people in Ashland city were Hispanic or Latino (of any race). 87.7 percent of the people in Ashland were White non-Hispanic. People of Hispanic origin may be of any race.